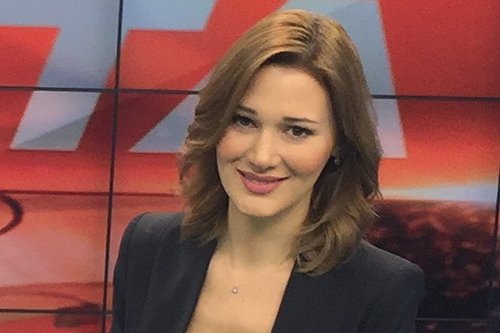 I worked as a TV presenter on a sports station in Turkey for four years, but I had nothing under my belt when it came to journalism qualifications. That’s why I decided to do a second master’s degree. I had previously studied and lived in Germany, so I was no rookie when it came to moving to a new country. I researched journalism courses in the UK and the United States. In the end, the US just felt a bit too far from home. It wouldn’t have been easy for my parents to visit me and that was a key factor. London is much easier to get to from Turkey. I’d also completed a four-month language course in London the previous year so I knew what a beautiful city it is. There’s always an event going on or something to see. But most importantly, it’s full of opportunities for people studying journalism. The world is your oyster when it comes to internships and the city is full of exciting stories. As a non-native English speaker, I chose to study international journalism. With only two courses in London, it wasn’t hard to choose between them when City’s rankings are so high. I’ve really enjoyed all the different modules on the course. They help you to understand what you’re good at and which path you should follow after graduation. I’ve gone from wanting to be a sports journalist, to falling in love with politics and current affairs. That’s something I never thought would happen. I was inspired by my classmates, who spoke with such passion and interest about the subject that it was hard not to join in the conversation. For class each week we have to come up with a different news story. Reaching out to people to ask for a comment or an interview isn’t hard when they see that you’re from City. People really respect the course and the University. This helped me gain real experience, which I might not have done if I had studied elsewhere. I also managed to secure a one-week placement at talkSPORT radio station during my studies, and I absolutely loved it. It really supported what I was learning on the course. A personal highlight for me was when a report I created went out live on the radio after the England vs Croatia World Cup match. I felt so proud of myself. If you’re thinking about studying journalism at City, you need to be prepared to work extremely hard. This course isn’t for the faint hearted: you need to be at every lecture, put in the hours after class and gain experience. Don’t be put off though - this course is the best preparation you can have for your future career.